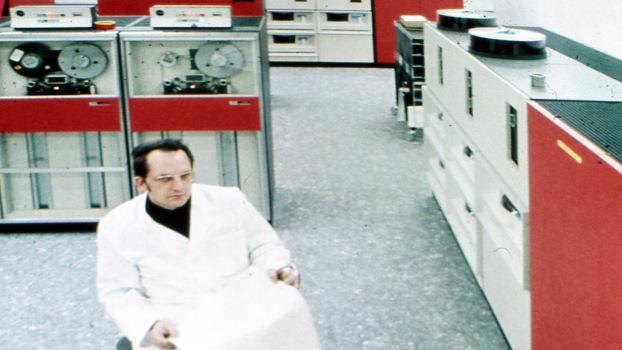 Arden2ByteCode was initially developed as a part of the Lower Saxony research network “Design of Environments for Ageing” (GAL). The GAL network acknowledges the support of the Lower Saxony Ministry of Science and Culture through the “Niedersächsisches Vorab” grant programme (grant ZN 2701). The Arden Syntax as a standardized language to represent medical knowledge can be used to express medical knowledge. Arden2ByteCode is a newly developed open source compiler for the Arden Syntax. Arden2ByteCode runs on Java Virtual Machines (JVM) and translates Arden Syntax directly to Java Bytecode (JBC) executable on JVMs. Arden4Eclipse is a plug-in for Eclipse. 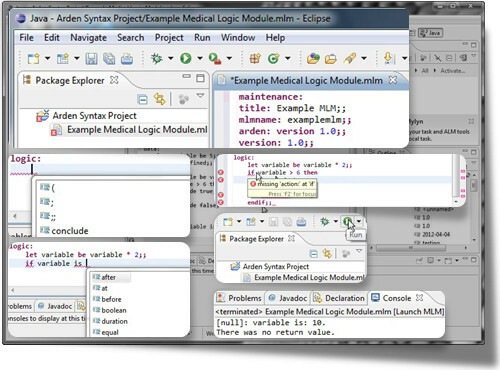 It supports development of Arden syntax modules with the functions of a modern IDE. To install just drag this link and drop it on your running Eclipse workspace. Further information and documentation is provided on the project's github page. The source code can be found on GitHub. Song B, Huang B, Wolf KH, Gietzelt M, Haux R, Marschollek M. A Web 2.0 based HL7 Arden syntax medical logical module platform for knowledge creating and sharing – The development of a rule repository for smart home care. In: Proceedings of the 7th Asia Pacific Association for Medical Informatics, 2012 Beijing. 2012.